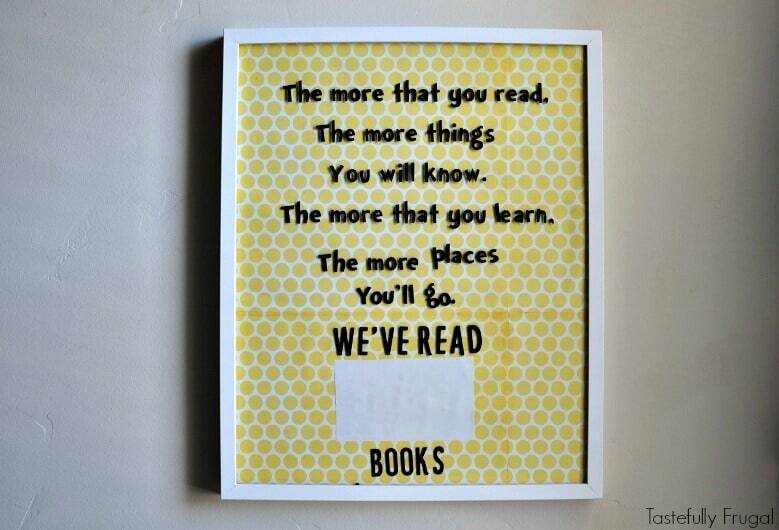 Keep track of how many books you and your little one have read with this easy to make reading tracker. It’s hard to believe that we’re already getting ready for back to school, isn’t it?! It seems like just yesterday I was out buying pool noodles and bathing suits and now it’s time to buy pencils and backpacks! My son on the other hand is thrilled it’s back to school time. 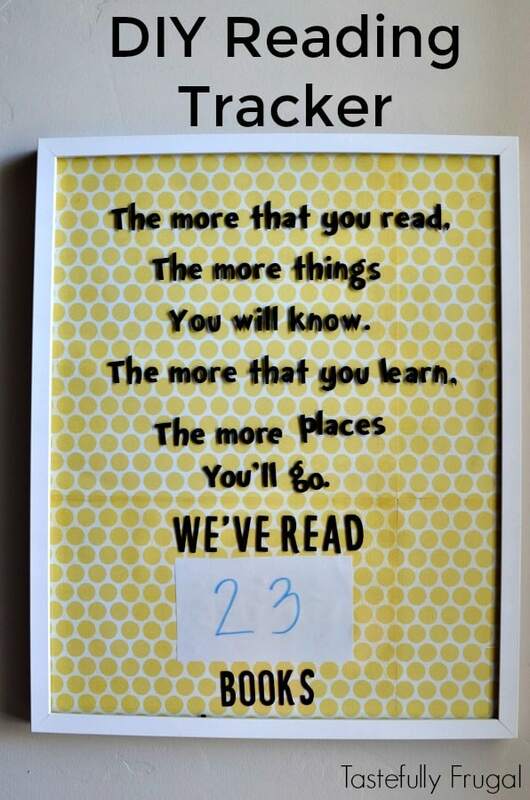 He has a real love for learning, especially reading and math, so to help him keep track of how many books we’ve read this year I decided to make a reading tracker. He also loves shopping with me, helping me find things on my list and telling me the price of EVERYTHING in the store. He’s also really good at spotting his favorite characters and logos on packages. On our last trip to Walmart he saw the Scholastic logo on a box of cereal and he knew that meant books. Then every time he saw that logo he would shout “Look it’s book cereal!” or “Look it’s book candy!”; and you know what, he was right! 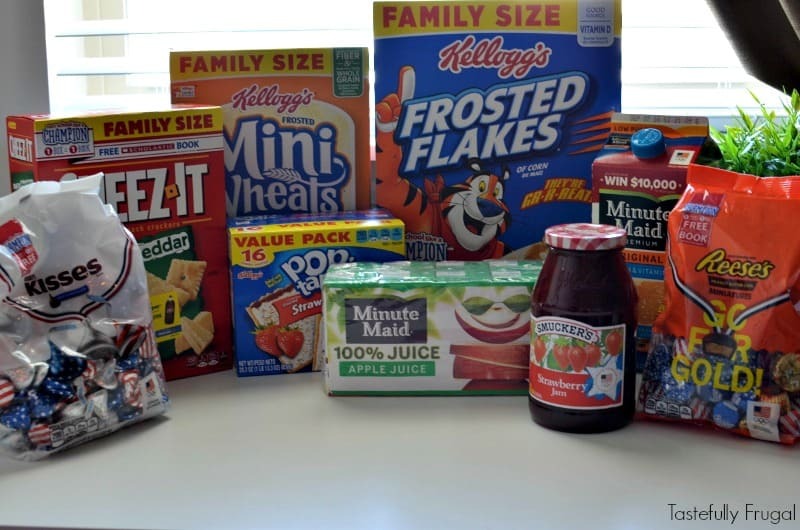 Coca-Cola, Kellogg’s, J.M. 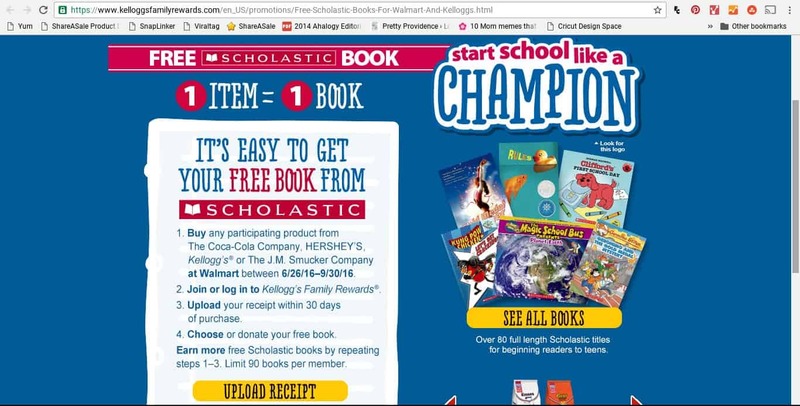 Smucker’s and HERSHEY’S has teamed up with Scholastic to sponsor the “Start School Like A Champion” program. For each participating product you buy, and there’s a ton of them (over 100), you get a free book. You can choose to keep the book for your own personal library or donate it. One of my really good friends is starting her first year teaching and I can’t wait to surprise her with a ton of new books (yeah I may have a slight shopping problem)! It’s super easy to get your books too! All you have to do is go to freebookoffer.com, sign in or create a Kellogg’s Family Rewards account, upload your receipt (make sure you do it within 30 days of purchase) and then pick your book! My boys were super excited about the Scooby-Doo book so we did keep one but we chose to donate the rest. There are over 80 titles to choose from, everything from beginner readers to teens, e-books and bilingual and more. 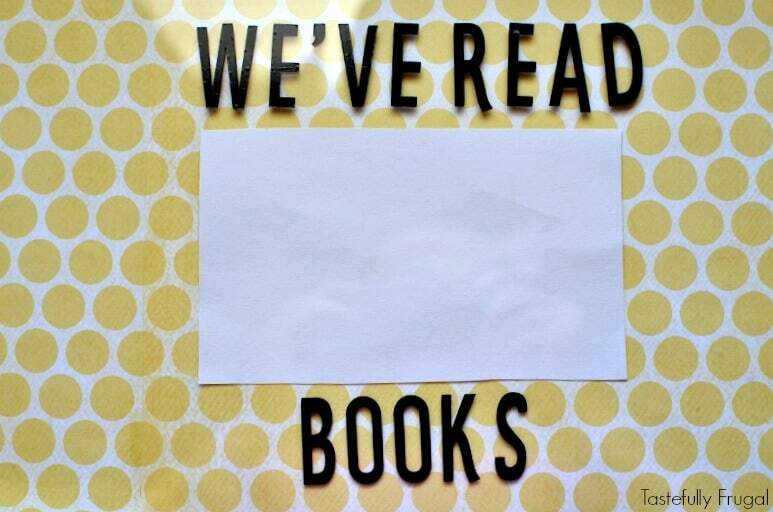 Since my boys are such big fans of reading I decided to create a fun and visual way for all of us to keep track of the books we’ve read. This was such an easy project and they love being able to walk by it and say “Look I’ve read 32 books!” It also helps with math skills too because they have to tell me the new number to put up after reading time each day. Take the back out of the frame and cut scrapbook paper to cover entire back (try to line up patterns as much as you can but don’t worry too much about lines or mismatched patterns, the vinyl will cover it). 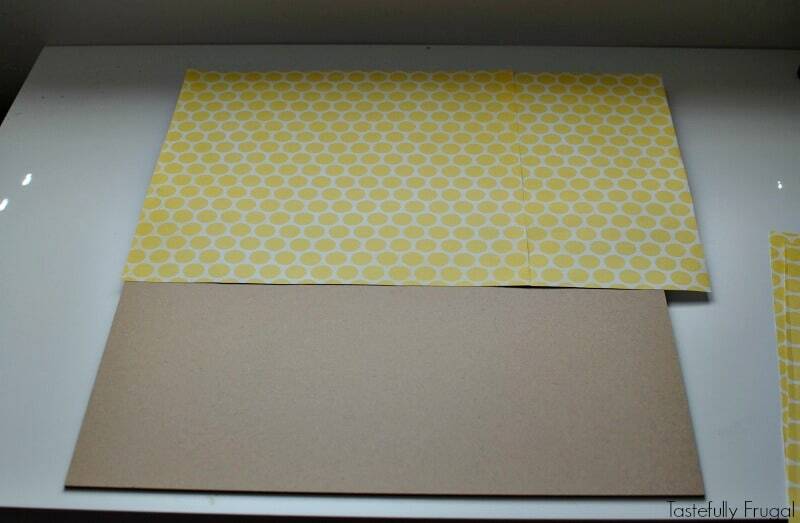 Attach scrapbook paper with glue or tape. Cut phrase out of vinyl (you can cut the same phrase I used here). Attach vinyl to front of glass of frame. Put back into frame (don’t attach) and measure where the blank space is for the book is (mine was 3 in from the bottom and was 3 in by 6 in). Take the back out of frame and cut a piece of white cardstock to fit space. Attach with glue. Put back into frame and attach. Hang where you can reach (if you’ve got little ones at home keep it high enough where they can’t reach and pull it down on themselves) and make sure to have a spot to keep a dry erase marker handy. 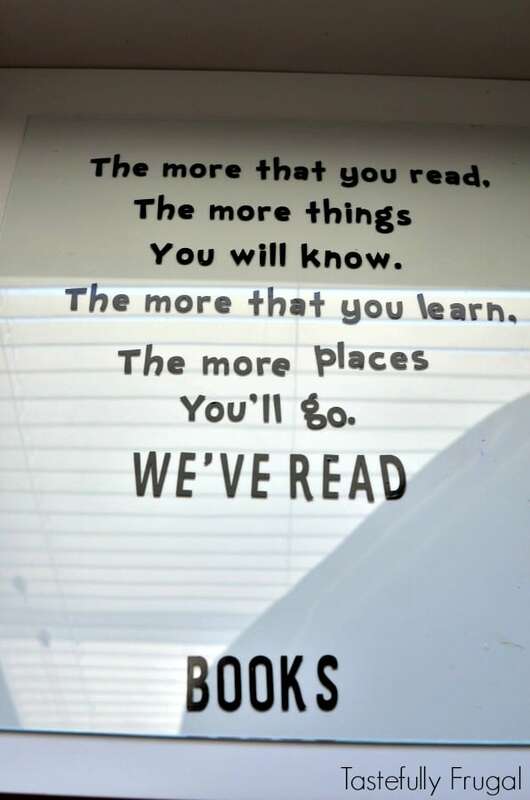 As you read books every day change the number of books read. 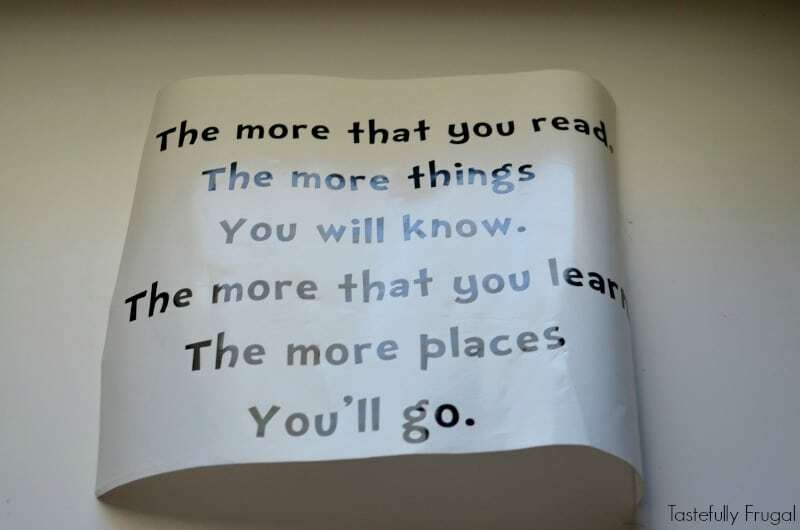 What ways do you get your kids excited about reading? 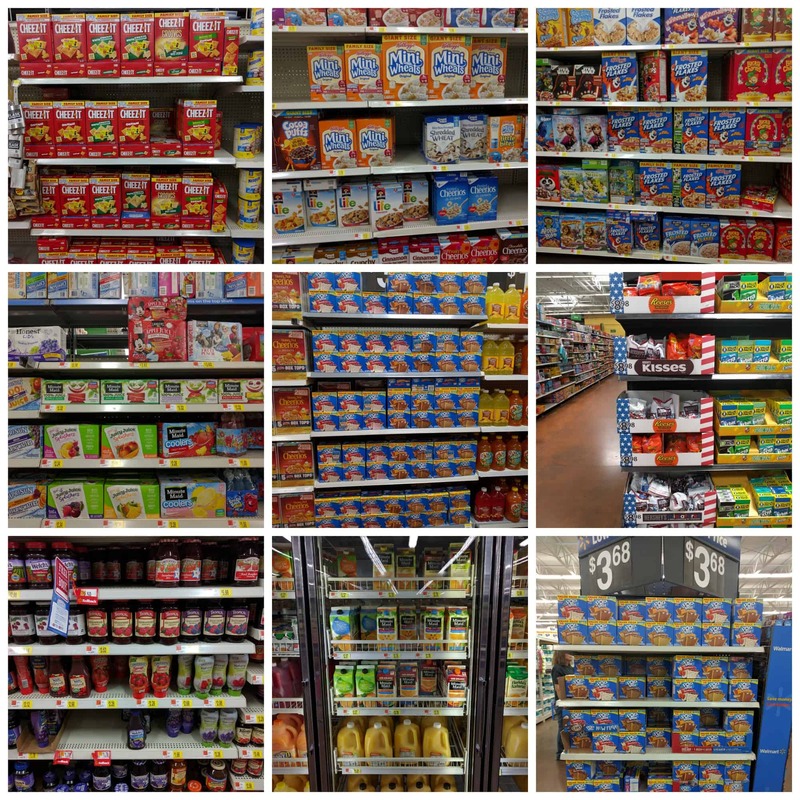 And don’t forget now through September 30th when you shop at Walmart, look for the “Start School Like A Champion” logo on products throughout the store to earn FREE books! More details on participating items and book titles can be found here. What a fun and cute counter! I also just love this program–although my kids aren’t ready for back to school they *do* love reading, so this will be a great motivator for them, plus I love how easy it makes it to pay it forward, too!